If your style tastes run on the modern bold side and you're looking for stylish tuxedo jackets to spruce up your night time wear. Try Tazio tuxedo jackets. These tux jackets are designed in Italy for the man who isn't afraid of the spotlight. 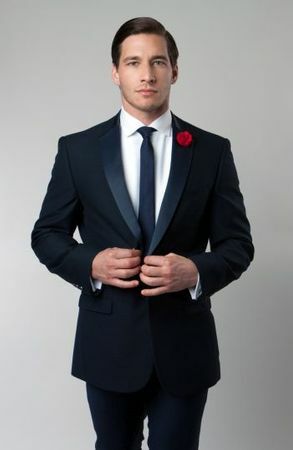 This dark blue tuxedo jacket features a satin lapel and has side vents with a modern style fit. Just add pants.